Okay, hands up, who can remember the disappointment that was NHL 15? The jump to current-gen was a tough transition for the NHL series, as it was for many other long-running franchises. 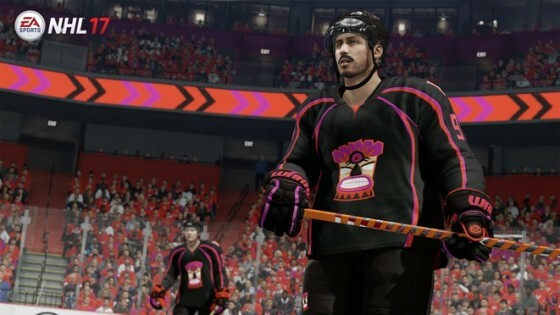 In the midst of the move, a whole range of features were stripped away, including the ultra-popular EA Sports Hockey League. In some ways, it felt like a lockout year for our beloved hockey series as our collective, team-based aspirations of virtual glory went on hold for 12 months. As disappointing as it was to be a fan during this time period, that first current-gen release implemented a wide variety of gameplay and presentation upgrades, thereby establishing a solid base for the future. Since then, an additional two iterations of the series have been released on Xbox One and PS4, and while upgrades have been made across the board, certain presentation features have been left largely untouched. Of course, NHL’s visual and audio aspects aren’t exactly sub-par in general, but while many of them remain impressive, others have simply grown stale. 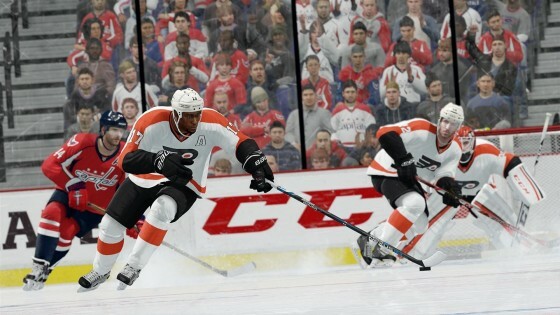 I personally love EA Sports’ NHL series, and above all else, I’m a huge fan. Like any dedicated supporter, I’ve got bugbears and wishlist items to detail, so here are my thoughts on the future of NHL’s presentation suite. Let’s expand on this. On a game-by-game basis, NHL 17 rarely differs in terms of its presentation. Sure, you’re faced with different arenas, all offering their own unique aspects, and that’s a welcome thing. I’ve already discussed my appreciation for NHL 17‘s customization features too, but they’re not the main focus here. Aside from those cosmetic elements, it’s hard to feel a differing sense of immersion from one location to the next. 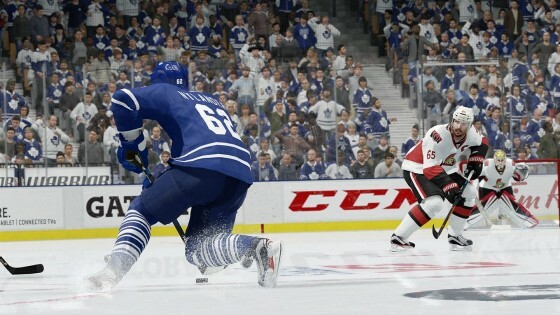 Unfortunately, the logistics of adding custom music have proved tough since the move to current-gen. For whatever reason, today’s consoles have seemingly made it very hard to add these elements to our favorite games, including the NHL series. It’s a real shame though, as for a dedicated group of players, custom music has played a big part in generating immersion over the years. Who remembers the days of the Ditty Importer on PC? I spent hours on that thing as a teen, carefully editing my favorite tracks into 30-second segments to use in-game. I’m not alone in this, and I’m sure many would agree that custom music made a huge difference in terms of creating a personalized gameplay experience. The same thing can be said of last-gen’s version of this feature, and while it required some workarounds at times, we were willing to put in the effort to add customized audio to each and every team in the game. For me personally, the series has lost a certain degree of appeal since the feature disappeared. The on-ice action always takes precedence above all else of course, but custom music had a big influence on my overall enjoyment of the game. That brings us back to the logistics of it, and that’s where we hit a roadblock. As it stands, not many games are making use of custom in-game audio on current-gen consoles as of yet. An exception can be made of titles like Forza Horizon 3, adding Groove Music implementation, but who knows if a feature like that could provide the answer for the NHL series? It isn’t the most crucial aspect of presentation, but custom music would make a big difference to some of us. It would appear that EA isn’t to blame for its lack of inclusion in recent years, and there’s no easy answer if it’s tough to add from a development point of view. But, if they can find a way to implement it, they’re sure to please a variety of fans who have been longing for its return. What is it about NHL’s menu screens in recent years? EA Sports’ other properties have rarely suffered with major issues in this department, but NHL can’t seem to the find the right formula. At this point, they’re certainly not as bad as they were a couple of years ago, but their slow transitions in modes like Hockey Ultimate Team are a particular annoyance. I’ve often struggled to retain interest in playing the mode for extended periods of time as a direct result of this, and I’m sure I’m not the only one. Luckily, these slow menus don’t extend to all areas of the game, and we even noted that “everything feels cleaner and a little more responsive” when discussing them in last year’s review. That doesn’t mean they’re perfect though, and just a small delay in transitioning from one menu to another can make a big difference, especially in an age where instant gratification and minimal delay are very much expected. There’s plenty to like about NHL 17‘s menus in terms of visual appeal, but that doesn’t necessarily equal a job well done. I’ve heard enough criticism to suggest they still need an overhaul, and I’d take a minimalist approach over a slow navigational system any day. It might sound like I’m doing a lot of ranting here, but there’s still a lot to enjoy about NHL’s presentation, particularly if you’re new to the series. 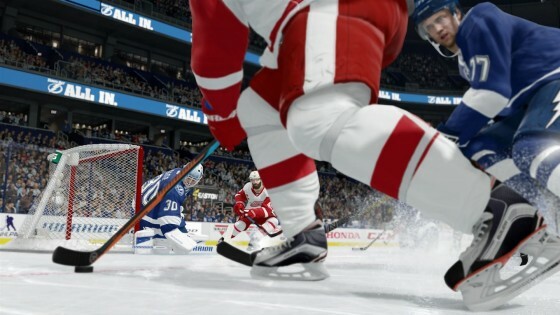 Ultimately, NHL 17 still excels in many ways, and it’s absolutely the best hockey game in recent memory, but in order to take advantage of its polished gameplay in NHL 18 and beyond, it’d be great to see significant investment going into certain areas of the series’ presentation.